Long time no see! It took me a long time to process – almost two years. I needed to decide the future of this blog! I thought I am not able to continue it as it was before! But I have changed my mind. I just needed a break and now I am ready to go on! The enemy must be destroyed! Armor Attack is a fun vector graphics shoot ’em up, where you take a control of a jeep in an overhead, maze-like view of a town. You fight against tanks and helicopters. 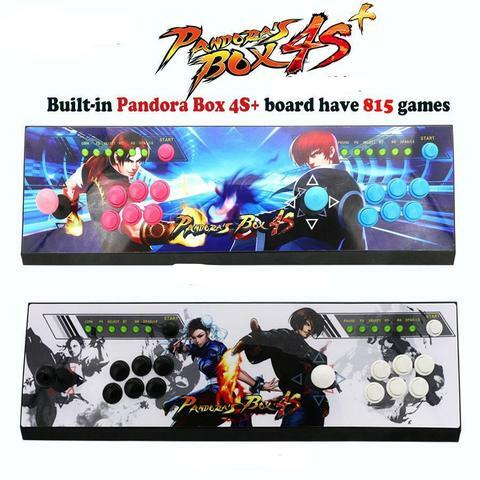 The game uses an overlay attached on the top of the monitor. 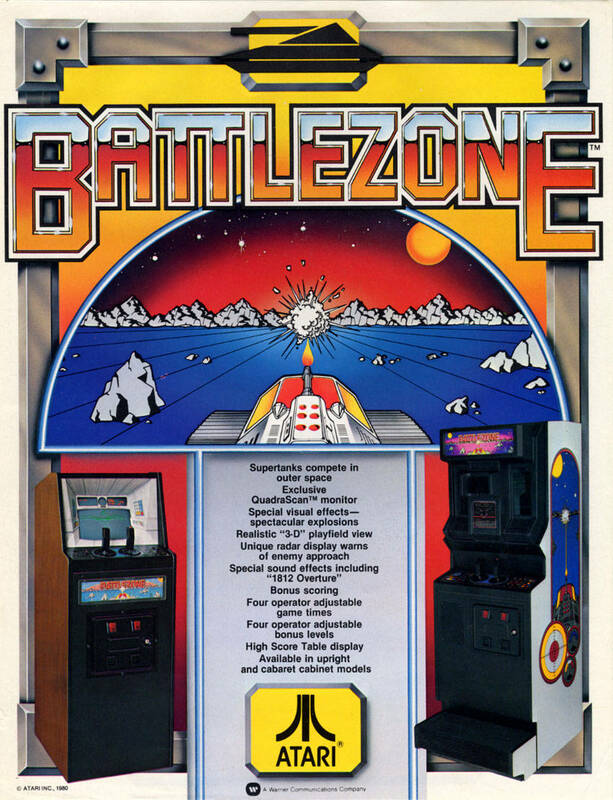 Battlezone is an addictive first-person tank combat arcade game in vector graphics. You take a controls of a tank, which is attacked by other tanks and missiles. Your mission is to destroy as many tanks and UFO-s on the battlefield as possible. The game is black and white, but uses green and red sectioned color overlay. In Berzerk you control a green stick man. Using a joystick and a fire button (that activates a laser-like weapon), you navigate a simple maze filled with robots. If you want to survive, don’t get shot or run into robots. Stay away from exploding robots, electrified walls and most important, avoid being killed by the unbeatable nemesis, Evil Otto. Centipede is a vertically oriented fixed shooter arcade game. In this game you need to fight off centipedes, spiders, scorpions and fleas. A round is completed after you eliminate the centipede that winds down the playing field. 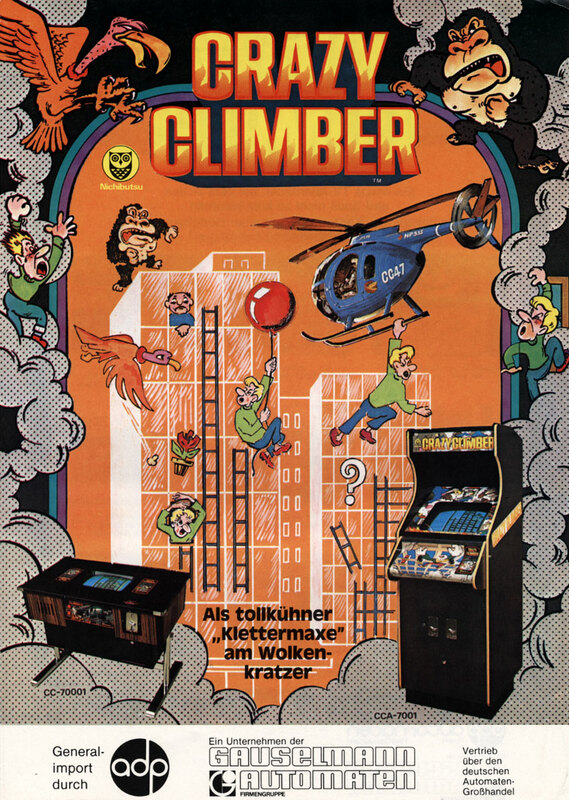 In Crazy Climber you are in a role of a stunt performer who is attempting to climb to the top of four skyscrapers. To get to the top, you need to avoid a number of obstacles and dangers like opening windows, residents who throw objects to knock you off the wall, a giant condor or a giant ape! The controls may be confusing at the beginning, but once you get used to, it’s hard to stop playing this game! In Missile Command, as a regional commander of three anti-missile batteries, you have six cities to protect from endless hail of ballistic missiles, some of the missiles are even splitting. New weapons are introduced in later levels: smart bombs that can evade a less than perfectly targeted missile, and bomber planes and satellites that fly across the screen and launch missiles of their own. 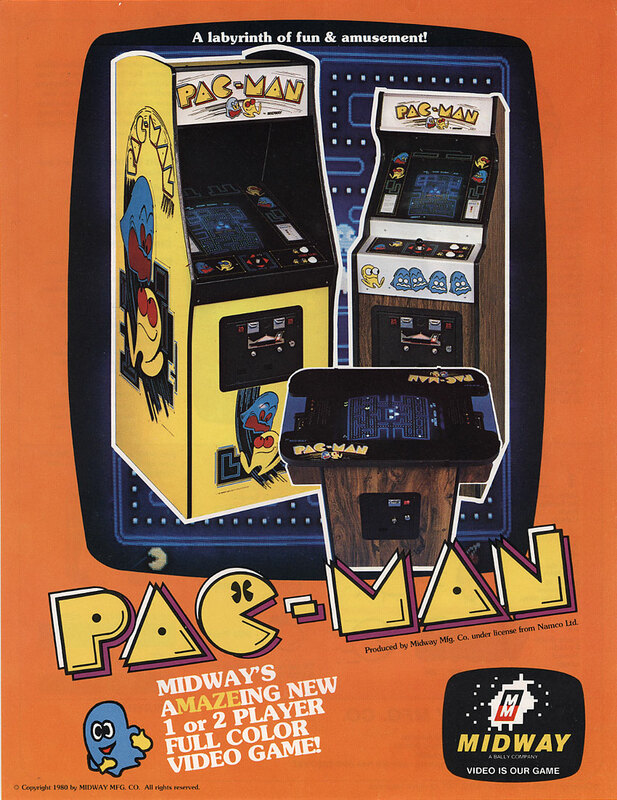 You take a control of Pac-Man (yellow ball with mouth) and lead him through the maze while collecting dots and avoiding four multi-colored ghosts. The goal of this game is to consume all the dots in a stage in order to proceed to the next one. Ghosts roam the maze, trying to catch Pac-Man no matter what. If any of them touch the Pac-Man, you will lose a life! Phoenix is an outer space-themed, fixed shooter video game similar to Space Invaders. 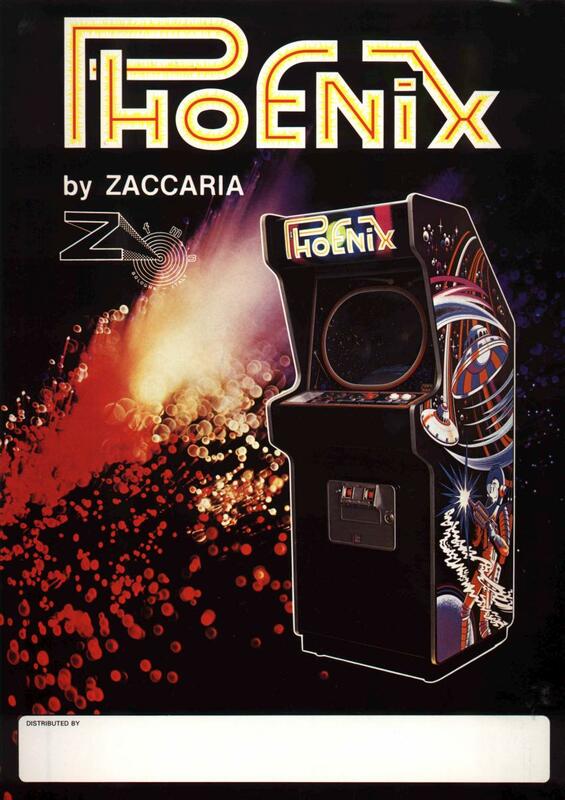 In this game, the Phoenix mothership is presented – one of the first arcade video game bosses ever. You control a spaceship that can move only horizontally at the bottom of the screen and you are able to fire upward. 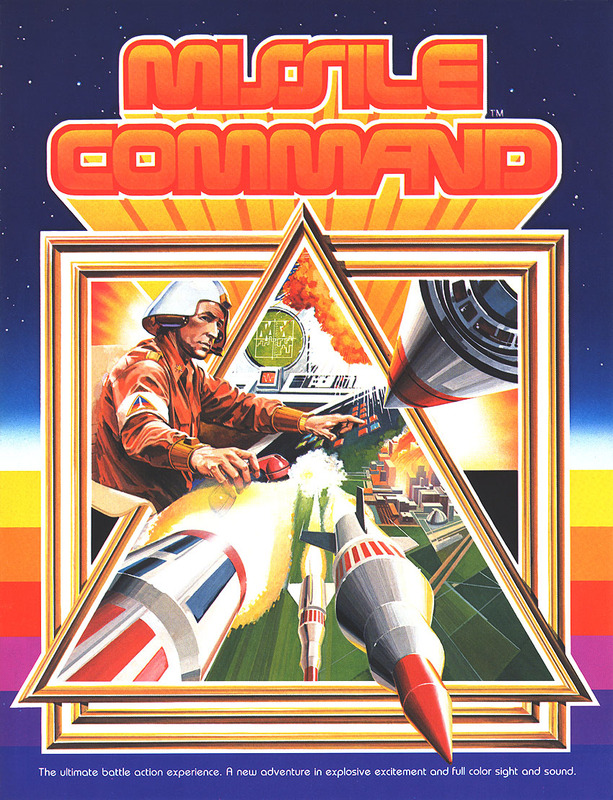 Enemies, appear on the top of the screen, above you space ship, shooting at you and periodically diving towards you in an attempt to crash into you. 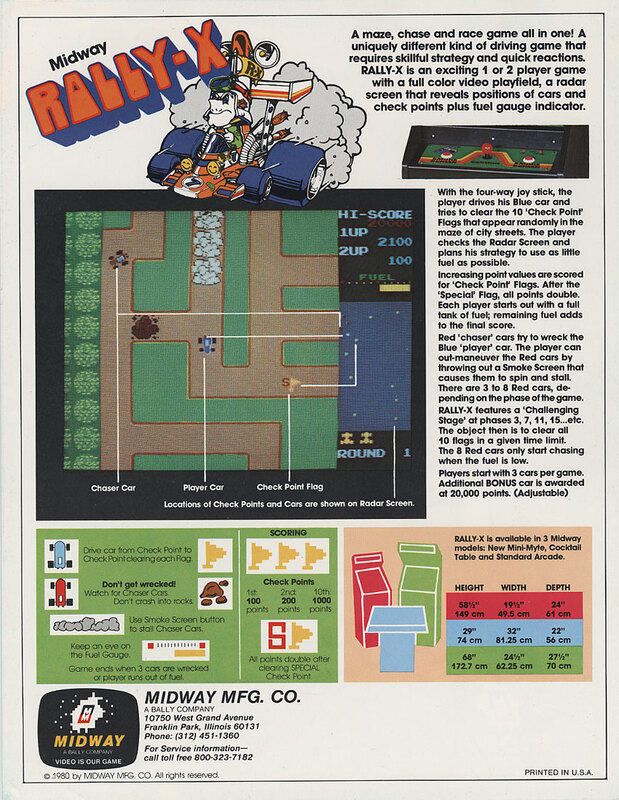 Rally-X is a driving game set in an overhead scrolling view. It was the first game to present background music. The object of this game is to collect all of the flags scattered around the maze before the red cars catch it. A radar shows the locations of the flags, but not the maze walls. 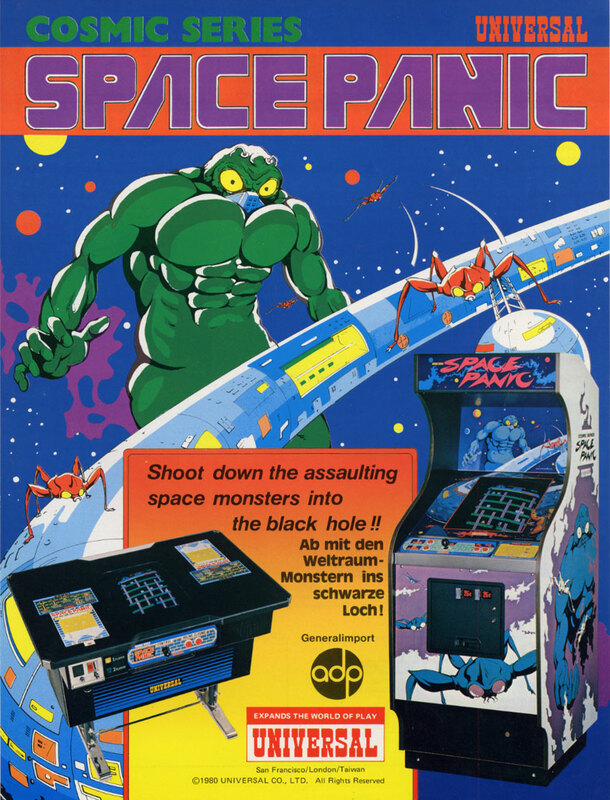 Space Panic is the first arcade platform game. While lacking the jumping mechanism, you can still dig holes to trap your enemies and climb the ladders with limited supply of oxygen. This game is pretty hard as you enemies don’t really want to get into the traps and often you find yourself waiting between traps and oxygen is running out! 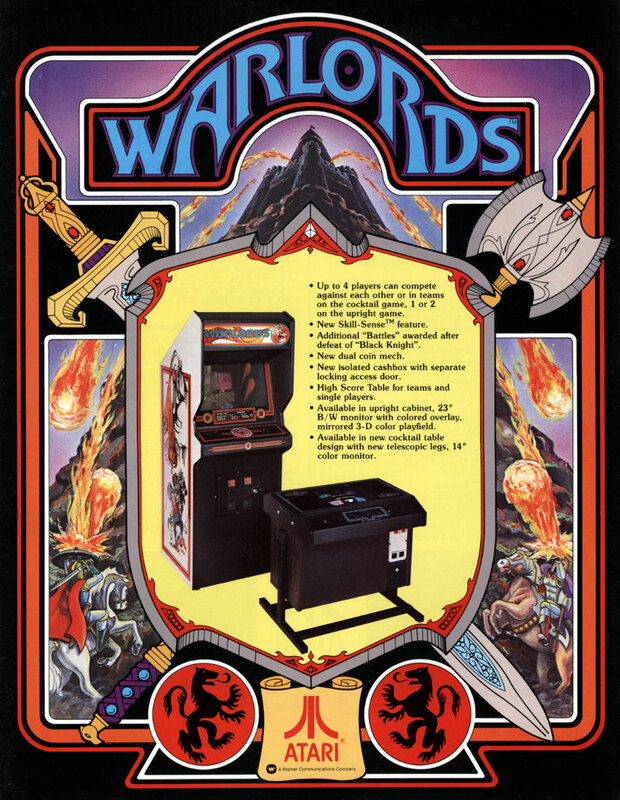 Warlords is a combination of Breakout and Quadrapong. In the four corners of the screen there are castles, surrounded with brick walls that could be broken with a flaming ball. With a spinner controller you control a shield that can bounce off or catch the fireballs and throw them towards your opponents. Your mission is to defend your castle and destroy castles in other three corners. 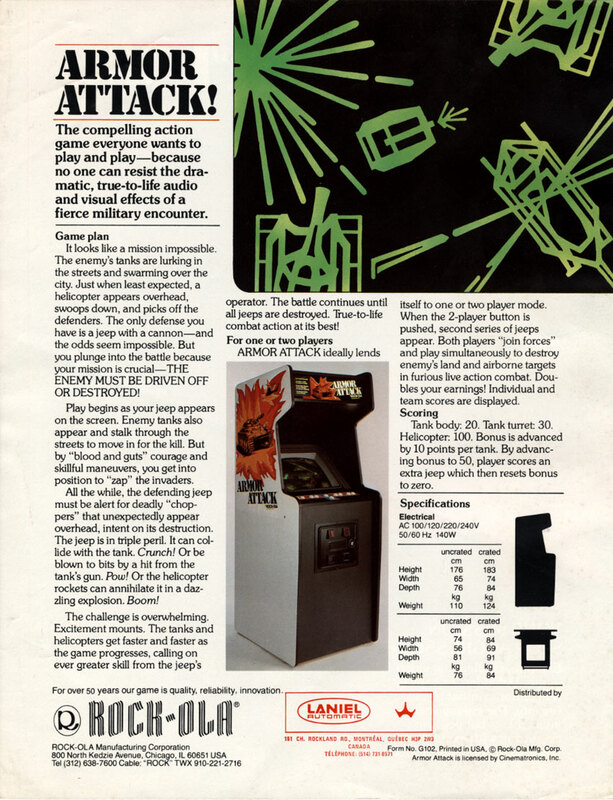 Some of the other enjoyable arcade games are: Tank Battalion, King and Balloon, Heli Fire, Star Castle. If you think, any of these or even something else must be the best, let me know in the comments! In my next post I will finally start with 1981! 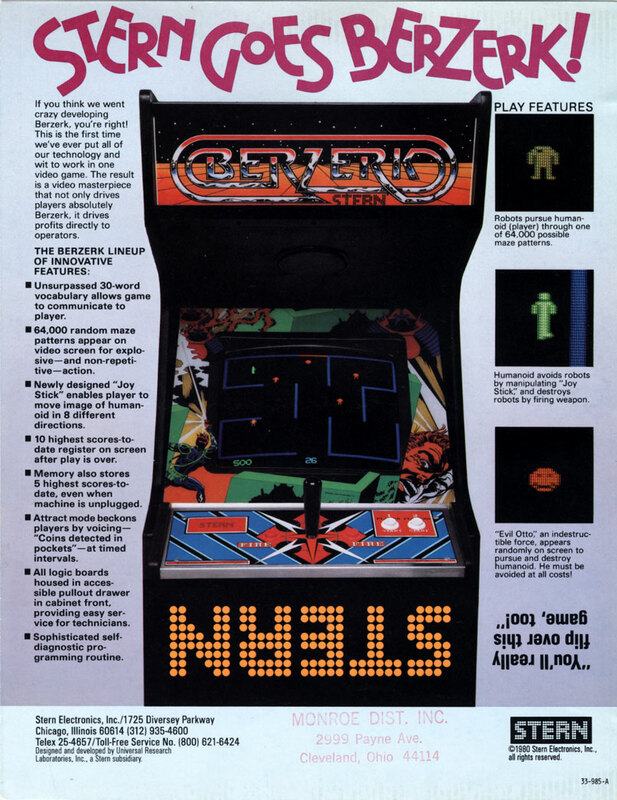 “Best Arcade Games of 1980,” according to who? I bought a 60 in 1 gaming console that has Battlezone, Centipede, Phoenix, Space Panic, Pac Man and one of my favorites, New Rally-X. So it is with extra interest that I note your original promo of these games. Back in the day I was a fan of an artist named Roger Dean who was famous for the album cover for Yes and Osibisa. 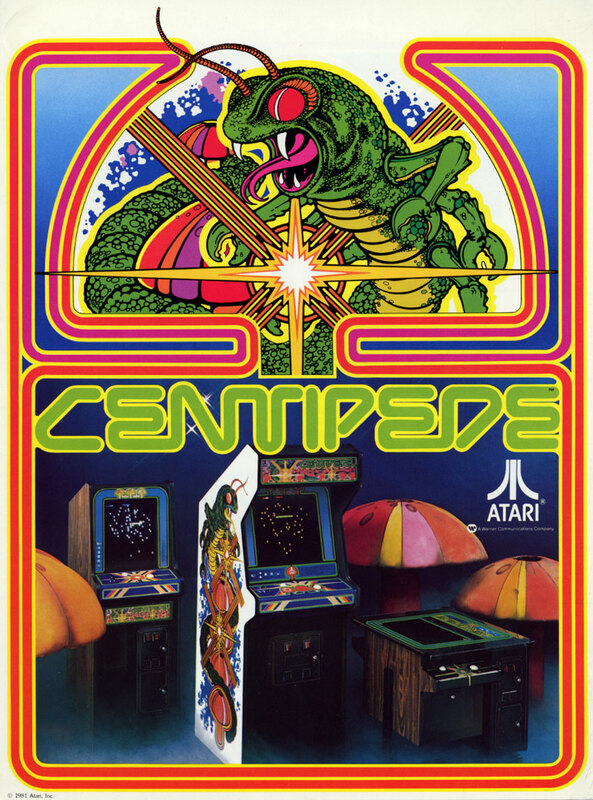 I notice that the Centipede artwork is in a similar vein as is the logo for Galaga. It all seemed so modern back then.